Team members took part in a search and rescue exercise on the Stiperstones, Shropshire. Practicing elements of land search across the Open Access area of the hills, coupled with investigations of lesser known mine shafts and adits in the area. The 'casualty' was eventually found to have fallen down a 30m deep shaft and was recovered. 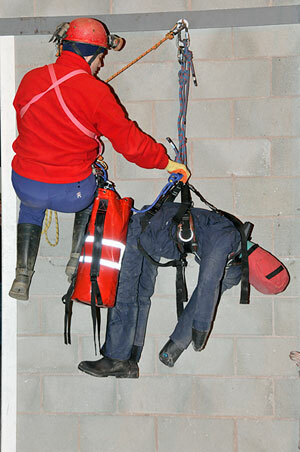 Team members were able to attend the British Cave Rescue Council Technical Training day at Buxton Fire Station. Where representatives of cave rescue teams from around the country demonstrated new techniques and swapped ideas.